To mark the first year of having their own brewery (with splendid accompanying venue) in Alexandria, Rocks held a party. And they brewed a new beer too. That beer was the Conviction ESB, the abbreviation standing for the British beer style Extra Special Bitter. According to the brewers, it was very much with the UK tradition of knock off pints in mind that this beer was designed, to wit: "The knockoff bell chimes; it’s time to head down to your local watering hole for a pint of ale. The eclectic bunch of people gathered at the bar are brought together by the pub they call their local; akin to folks at a football match with nothing more in common than the club they barrack for. 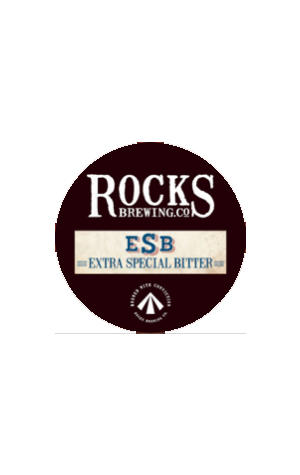 This English style ESB looks to capture the essence of this ritual." As such, it's brewed with English malt – Maris Otter & Crystal for those who are in to such things – and heavily hopped with the "quintessential" UK hop East Kent Goldings and fermented with London ale yeast. The result? We're told to expect things such as earthy, ripe fruit, biscuit and a "mineral mid palate".